The World Wide Fund for Nature is to be investigated for alleged human right abuses against native tribes in Cameroon. A complaint claims that WWF-funded poaching squads arrested, tortured, and even killed locals. Pygmy tribes, such as Baka, have lived in the rainforests of the Congo Basin for millennia, according to Survival. However, these tribes are now being “illegally evicted in the name of conservation, but logging, poaching and other threats to endangered species like gorillas, forest elephants and pangolins continue,” the group said. The WWF also “failed to seek communities’ free, prior and informed consent for conservation projects on their ancestral land,” it adds. According to Survival, this will be the first time a non-profit organization has been investigated in this way. This means that the OECD will apply to the WWF the same standards as they would to for-profit groups. “Baka and other rainforest tribes have reported systematic abuse at the hands of these squads, including arrest and beatings, torture and even death, for well over 20 years,” Survival says. We wonder, if big #conservation organizations like #WWF can't stop squads they fund from abusing the "Pygmy" peoples' rights, do they have any business being in the #CongoBasin at all? “They are letting the elephants die out in the forest at the same time as they are stopping us from eating,” another Baka man told Survival. Survival says that Pygmy tribes are often evicted from their homes or banned from hunting and gathering. Survival Director Stephen Corry says that the OECD acceptance of the complaint is a giant step for vulnerable peoples. 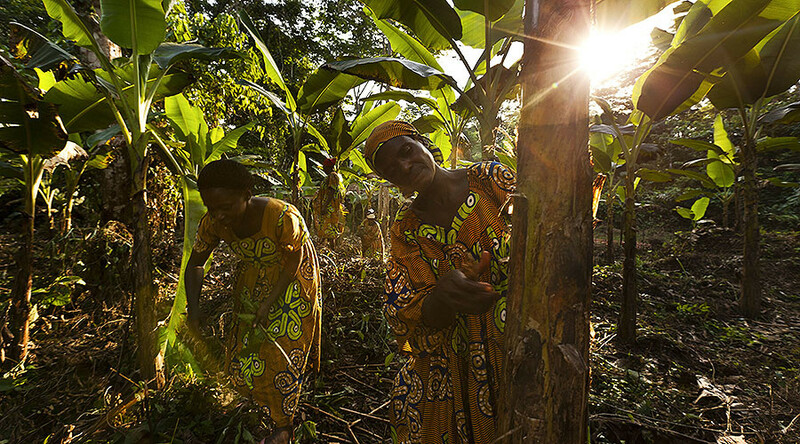 “WWF’s work has led to decades of pain for tribal peoples in the Congo Basin. It’s done nothing effective to address the concerns of the thousands of tribal people dispossessed and mistreated through its projects. If WWF can’t ensure those schemes meet UN and OECD standards, it simply shouldn’t be funding them,” he said. In response, the WWF said that it “takes any and all allegations of human rights violations extremely seriously,” as cited by AFP. “We therefore find it regrettable that Survival International has not accepted our offer to work together on the ground to address the complex social and political context facing the Baka in Cameroon,” it said, adding that it is ready to cooperate with the OECD.